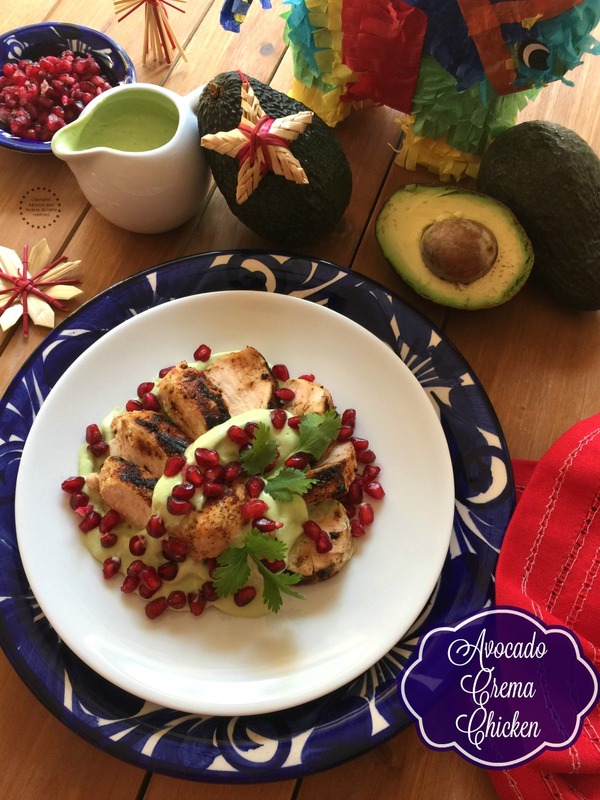 Today we are preparing Avocado Crema Chicken with Pomegranate Jewels for our upcoming posada party. It is incredible how fast this year has passed. In the blink of an eye, the new year will be knocking at our door. This year has brought so many great things, and so many blessings were received too. But before we think about the new year, I am looking forward to hosting family and friends for our posada party right before Noche Buena this is a yearly tradition for us. Hosting La Posada at our home helps us prepare for Christmas and helps us teach the true meaning of our beliefs to our little ones. Embracing my Mexican culture is very important to me. Particularly during the holidays, I feel closer to my country and my heritage. 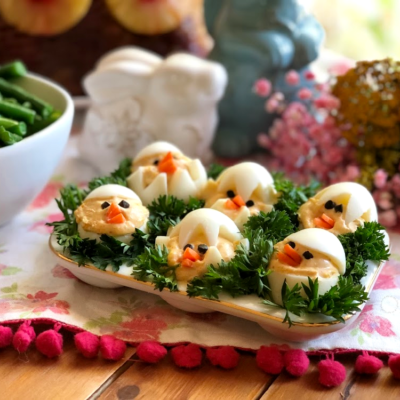 That is why I so enjoy cooking all those fabulous dishes that my mom, my grandmother, and my great grandmother used to make when I was a child. And when we celebrate at home, Avocados From Mexico is always there to help me connect to my Mexican roots. 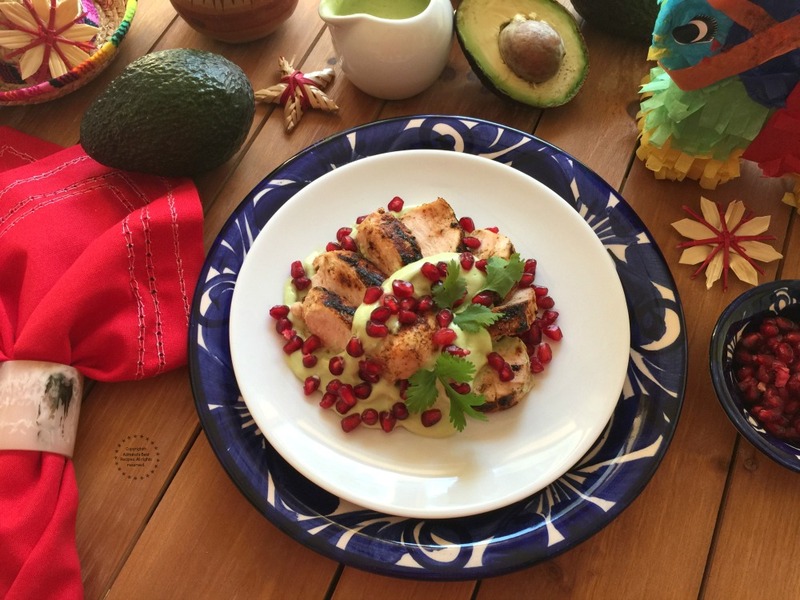 For more holiday-inspired recipes featuring avocado, visit the Avocados From Mexico Fiestas site HERE! 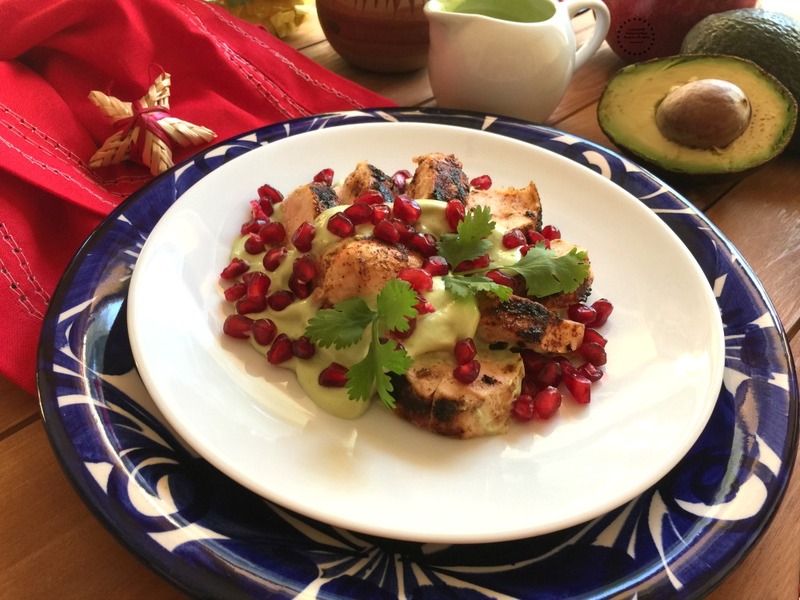 Inspired by my aunt’s recipe for chiles en nogada, I decided to create an Avocado Crema Chicken with Pomegranate Jewels. Instead of using walnuts for the cream, I am using Avocados From Mexico, always fresh and always in season. As well as crème fraîche, milk, serrano peppers, and cilantro. 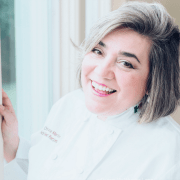 Watch the video for the step-by-step details on how to make this yummy recipe. The chicken is very simple to make. 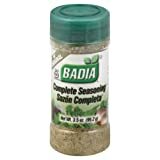 You can season it with cumin, paprika, pepper, and salt to taste. Then grill it. The charring adds a tasty smoky flavor that complements the avocado crema very nicely. And to make this dish even more festive, I am garnishing it with pomegranate jewels. The combination of smoky, sweet, spicy, and creamy make this Avocado Crema Chicken an excellent option. This dish is a perfect addition to an exclusive party like a traditional Mexican posada. You can serve the Avocado Crema Chicken with white rice. 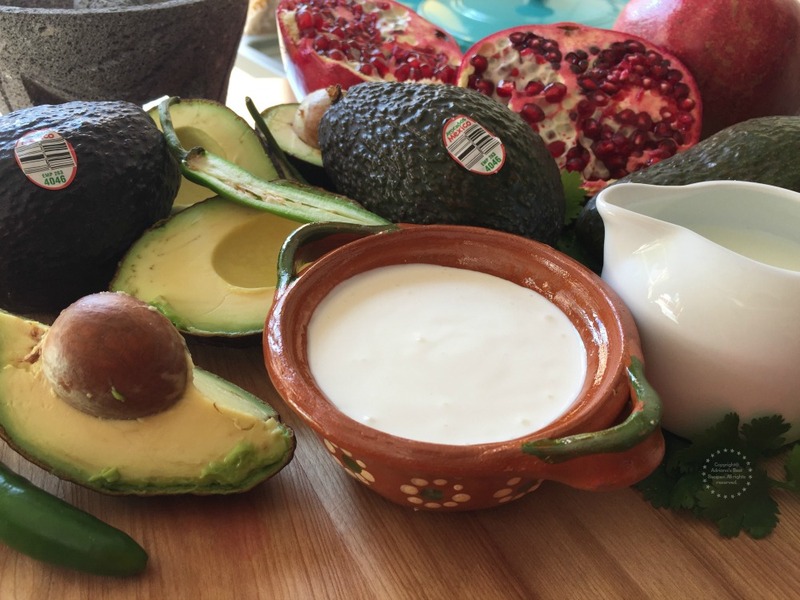 Don’t forget to place plenty of the avocado crema on the table for your guests to decide how much sauce they want to add. A double pour of the avocado crema is always allowed. In my opinion, you can throw an avocado on anything you like to eat. 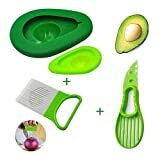 Learn more about Avocados From Mexico at VidaAguacate.com. 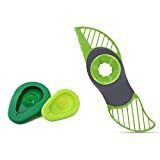 There you will find many resources and delicious recipes with avocados to tantalize your taste buds and fulfill the craving for adding avocado to almost everything. 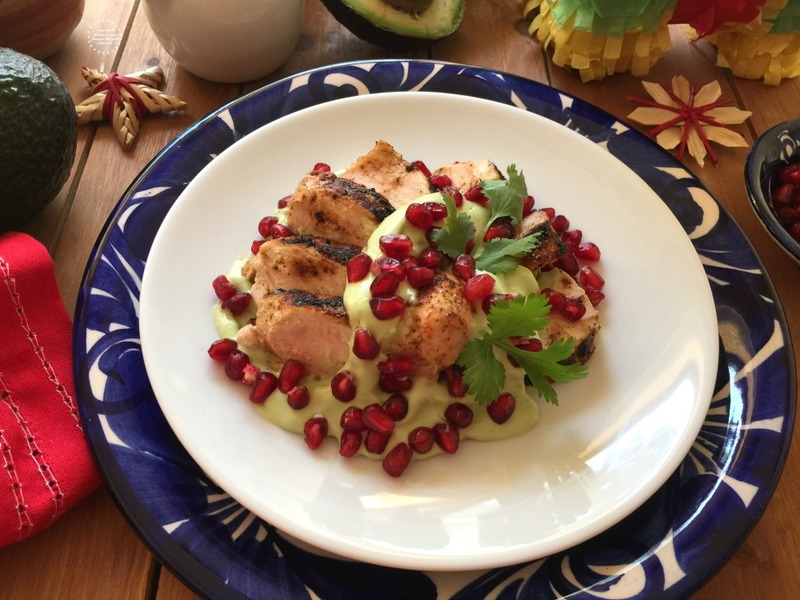 Inspired by my aunt’s recipe for chiles en nogada, I decided to create an Avocado Crema Chicken with Pomegranate Jewels. Instead of using walnuts for the cream, I am using Avocados From Mexico, always fresh and always in season. Season the chicken breasts with the spices and grill stovetop. Set aside and cut in slices for a nice presentation. Prepare the avocado crema, blending the Avocados From Mexico with the serrano peppers, the crème fraîche, the milk, and the cilantro leaves. Place the chicken breast slices on a plate and drizzle with avocado crema. Finish by adding the pomegranate seeds, and garnish with cilantro. 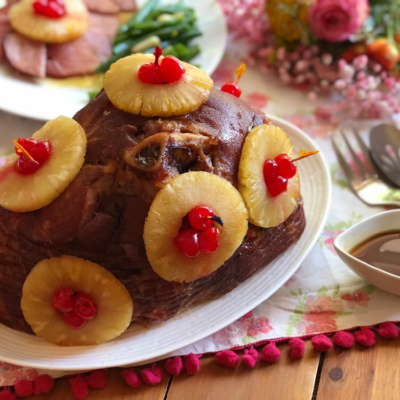 Very innovative recipe with varied taste. Will try it and see it goes!! This sounds so good!! 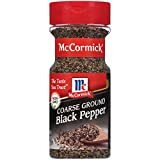 I am always looking for new recipes to try out, this is one my whole family would love. 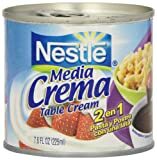 I tasted crema for the first time when I went to Honduras this year. 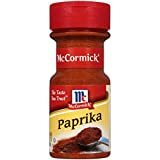 It was such a delicious condiment. Now that sounds delicious! I do love Avocados but never thought of making it into a sort of dressing for chicken. I think I would love this! I love avocados, they are so full of flavor and are healthy too! Looks so tasty! Looks like a very rich chicken dish! I am saving the recipe and I will make it for a special dinner with the hubby. 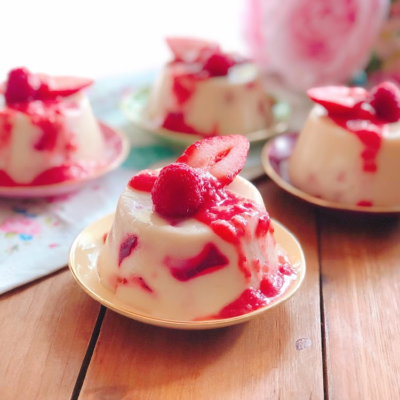 Omg this looks like an amazing recipe! 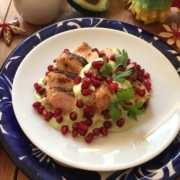 I love avocados and I would never have thought to pair it and chicken with Pomegranate. 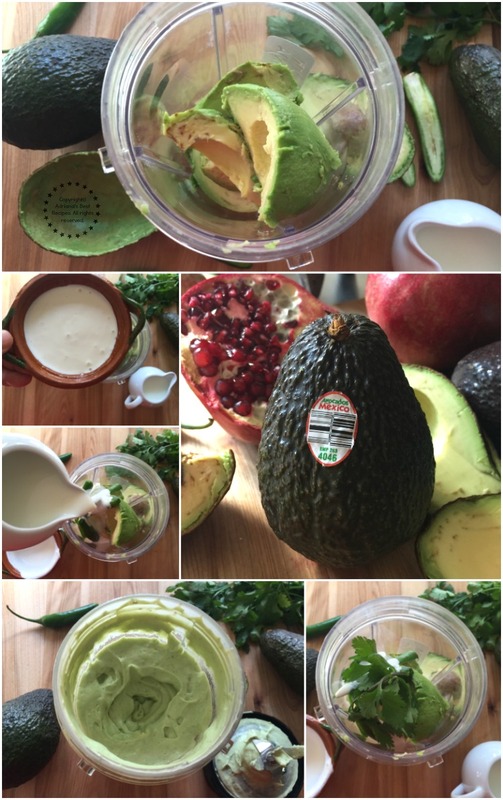 Cream of avocado sounds amazing. This recipe would be a first for me. I love mixing sweet and savory.